Coding Autism sounds like a program that not only caters to my technology skills, but can also really revolutionize my career opportunities. Without hesitation, I would enroll into Coding Autism right away! Coding Autism brings forward-thinking support to the autism community. By using a strengths-based lens, Coding Autism provides valuable links between corporations and the individuals who will bring needed expertise to the job. Coding Autism truly understands the needs growing companies face in the tech industry and has identified a very unique and socially conscious model that greatly benefits employees and employers. Coding Autism is that rare startup that has the potential to do good and be profitable. People with certain types of autism have exceptional skills but need extra assistance to unlock them. Coding Autism has the potential to do that in a spectacular way. The ones blessed with Autism have the opportunity to show the world their strengths with Coding Autism. This is both beneficial to them and to our society!! Coding Autism is the one-stop shop from education/training to employment for individuals on the autism spectrum. As the founder and CEO of 805 Start-Ups, I have come across many startups; but Coding Autism has some serious potential to do great. With such a major need in the autism community to have a resource like Coding Autism this company has major potential. One of my biggest fears is if my autistic son will be able to provide for himself once I pass away. Learning about Coding Autism and the services they provide for someone like my son provides me with confidence that he will be alright. Amazing program - making a huge difference! This is a great opportunity for a talented segment of our population that might otherwise be underutilized and continue to be underappreciated. As a special education teacher on the autism spectrum myself, I can already predict the success of a program like Coding Autism. I would love to not only enroll in Coding Autism’s program, but I would recommend that others like me would enroll as well. I have studied and written about various companies and organizations that benefit the autism community. When I learned about Coding Autism and their goals, I was beyond impressed. To be honest, I have found it to be very difficult to find employment despite having a college degree in urban and city planning from CSUN. Within a week, Coding Autism has helped me line up an interview with Ginsler, one of my dream companies, which I am very thankful for. When I first started learning to code, I fell in love with it. Learning about Coding Autism really fascinated me as I know from first-hand experience the opportunities that are available in the workforce for autistic software and technology specialists. Coding Autism’s mission really bring a much needed solution to coding and the autistic community. I am excited to see its growth and impact globally! It is no surprise that autism unemployment is one of the largest problems in the autism community. I am beyond glad to see companies such as Coding Autism enter the marketplace to help combat this serious problem. I have been a science educator my entire career and have read numerous articles and research reports stating that people with autism can succeed in science related fields. Coding Autism is filling a critical gap in services for young adults with autism. As a higher education researcher who studies postsecondary success of students with autism, I commend Coding Autism for preparing adults with autism for careers in the software and technology industry! Learning about the development of Coding Autism and their goals of improving the autistic community made me realize how proud I am of my autism advocacy efforts. As the parent of a son with Asperger’s, I always wondered if there were enough resources out there to make sure that my son is on the right track to succeed in his career. For the last 7 years, I have devoted my career to helping people with autism and Asperger’s Syndrome reach their highest potential. 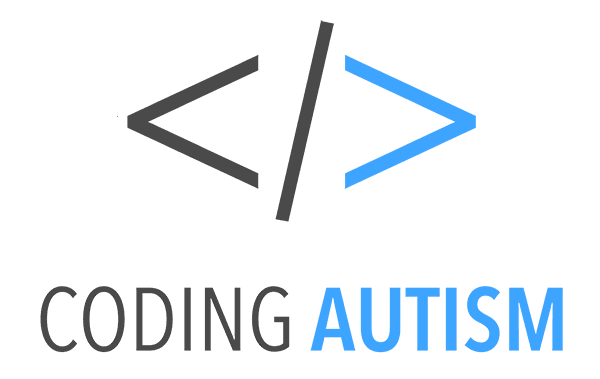 Coding Autism shares the same vision, and I am proud to work alongside them. Despite being a 3rd generation legacy to the US Army, I was denied the opportunity to enlist because I was autistic. I felt disadvantaged and worthless, but learning about how Coding Autism could help people like me become valuable boosted my confidence. I was blown away by Coding Autism’s presentation at the CLU New Venture Competition. Their presentation made me realize that hiring employees with autism can be a win-win for both companies and the autism community. Coding Autism’s mission to train and create career opportunities for people with autism is absolutely beautiful. I am looking forward to considering some of Coding Autism’s graduates for web development positions at Compass. Coding Autism has the potential to make a huge impact in the autism community. I am proud to assist Coding Autism with their equity crowdfunding efforts to ensure that they generate the necessary funding to get off the ground!